For the past several months, creepy clowns have been terrorising America, with sightings of actual clowns in at least 10 different states. It's impossible to determine which of these incidents are hoaxes and which are bona fide tales of clowning around taken to the extreme. Nonetheless, the perpetrators seem to be capitalising on our longstanding love-hate relationship with clowns, tapping into the primal dread that so many children (and more than a few adults) experience in their presence. Clown-like characters have been around for thousands of years. Historically, jesters and clowns have been a vehicle for satire and for poking fun at powerful people. They provided a safety valve for letting off steam and they were granted unique freedom of expression - as long as their value as entertainers outweighed the discomfort they caused the higher-ups. Jesters and others persons of ridicule go back at least to ancient Egypt, and the English word "clown" first appeared sometime in the 1500s, when Shakespeare used the term to describe foolish characters in several of his plays. The now familiar circus clown - with its painted face, wig and oversized clothing - arose in the 19th century and has changed only slightly over the past 150 years. The persona of the creepy clown really came into its own after serial killer John Wayne Gacy was captured. In the 1970s, Gacy appeared at children's birthday parties as "Pogo the Clown" and also regularly painted pictures of clowns. 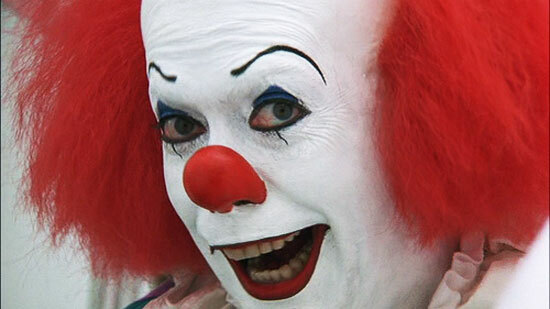 When the authorities discovered that he had killed at least 33 people, burying most of them in the crawl space of his suburban Chicago home, the connection between clowns and dangerous psychopathic behaviour became forever fixed in the collective unconscious of Americans. We recruited 1,341 volunteers ranging in age from 18 to 77 to fill out an online survey. In the first section of the survey, our participants rated the likelihood that a hypothetical "creepy person" would exhibit 44 different behaviour's, such as unusual patterns of eye contact or physical characteristics like visible tattoos. In the second section of the survey, participants rated the creepiness of 21 different occupations, and in the third section they simply listed two hobbies that they thought were creepy. In the final section, participants noted how much they agreed with 15 statements about the nature of creepy people. The results indicated that people we perceive as creepy are much more likely to be males than females (as are most clowns), that unpredictability is an important component of creepiness and that unusual patterns of eye contact and other nonverbal behaviour's set off our creepiness detectors big time. Rami Nader is a Canadian psychologist who studies coulrophobia, the irrational fear of clowns. Nader believes that clown phobias are fuelled by the fact that clowns wear makeup and disguises that hide their true identities and feelings.